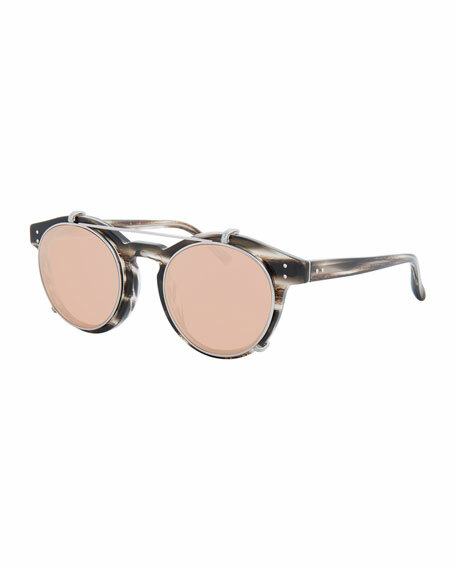 Linda Farrow round sunglasses in acetate with removable clip-on lenses. 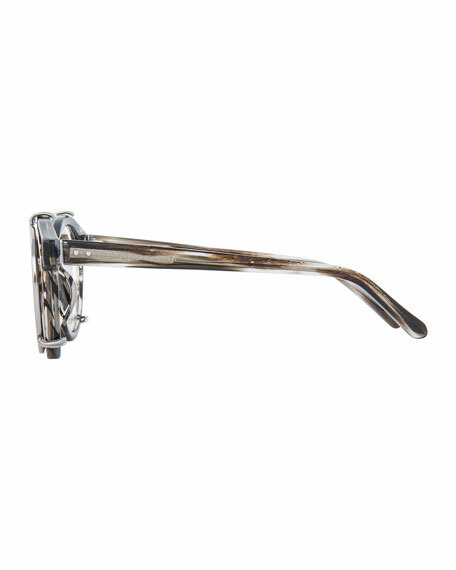 Lightweight titanium hardware with 18-karat, white gold plating. Keyhole nose bridge; clip-on creates straight brow. 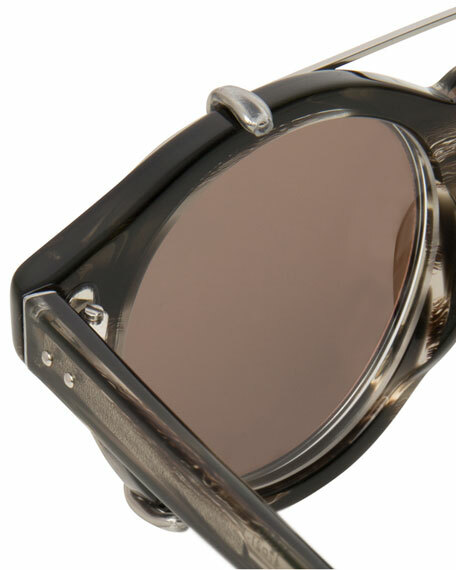 Double pin stud detail at temples and frame front. Two things Linda Farrow Creative Directors Simon Jablon and Tracy Sedino are not afraid of: risk-taking and going over-the-top. Both are evident in these made-in-Japan frames. 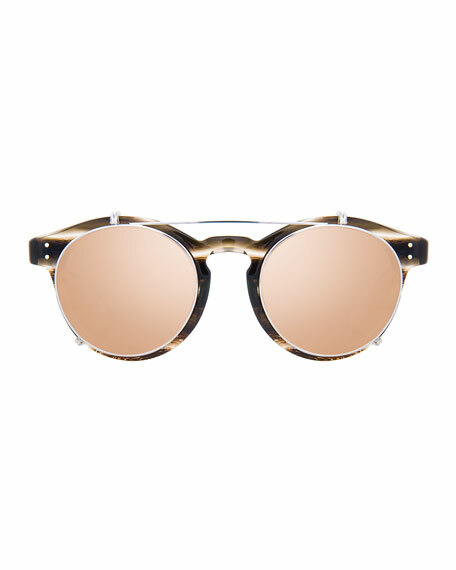 Fashion glasses and sunglasses feature unconventional shapes and luxe details, including 18-karat gold-plate finishings. For in-store inquiries, use sku #2129179.